Introducing Cottage House Stillwater! This historically significant Gem dates back to 1880 and is loaded with charm. Just around the corner from Nelson’s Ice Cream, Len’s Family Foods and just .08 mile walk to Main Street Stillwater/St. Croix River. YOU GET THE WHOLE HOUSE AND NOT JUST AN APARTMENT! This 2 bedroom, 1 bathroom Cottage is all on one level and has an adorable fully equipped Retro Kitchen, separate Dining room, Living Room, French door Parlor with couch & TV and a peaceful 3 season screened porch for morning coffee. The long driveway can accommodate a few cars and a nice back yard to enjoy as well. Both Bedrooms have Queen Beds & Sleeps 2-4 comfortably. Main Street is loaded with Antique shops and Specialty Shops. Excellent dining at places like LOLO American Kitchen or Marx Fusion Bistro to name a few. Stillwater, Minnesota has Parks, Biking, Hiking, Boat rental and many more activities to make your small town get away enjoyable. Born in Saint Paul MN and raised in Roseville, I've always had an attraction to historic homes to hang my hat. That is why I purchased Cottage House... for me and others to enjoy. I'm currently a Chicago Real Estate Broker living in the Lincoln Park neighborhood in an equally amazing 1873 brick Coach House. Because it transports you back to a small town feel and relieves the stress of big city life. The kitchen is the best and you'll instantly feel like your back at Nanny & Grandpa's cottage! Completely remodeled bathroom that is as cute as a button! Comcast - Free wifi for Legal surfing only. Yes, but bring your own beach towel. Beautiful and Separate from Dining room. just 18 inches but does the job. Kitchen is nicely equipped with dishes and cooking utensils. Sony flat screen located in the Parlor if you must watch TV on vacation. Comcast very basic and HBO. Small CD player/AM/FM in the kitchen & living room. In the Green trunk, top shelve in the Living room. Front deck and Screened in 3 Season Porch off kitchen. Women's Weekend @ the Cottage! We had a blast celebrating our friend and sister's 40th birthday. The back/ side porch is really great for a group to chill out side. It was one of our favorite spots. We loved the array of private sleeping areas. We used both bedrooms and 2 couches, so that the 5 of us could really spread out. Thank you so much to Joe for answering all of our questions with his detailed reservations emails. We highly recommend bringing Bailey's for morning coffee and bird watching. It served us well! 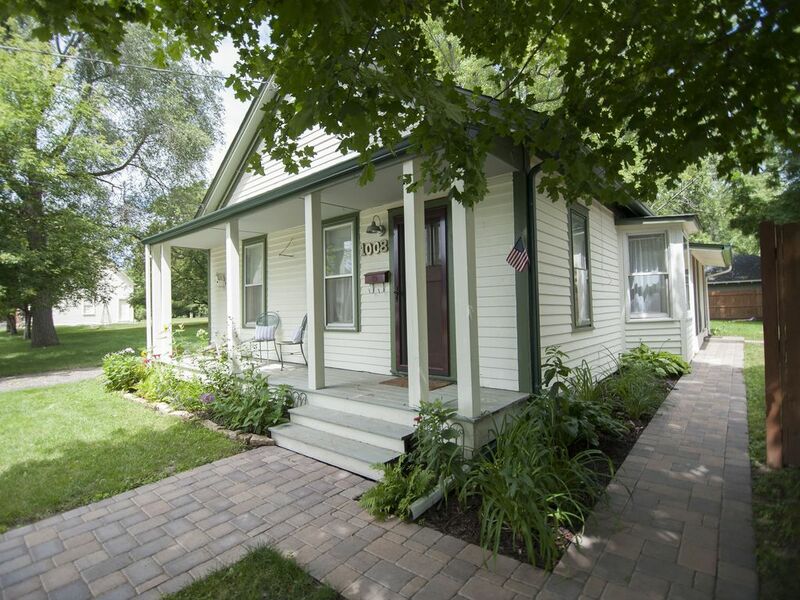 We loved the charm of this cute little cottage house. Lots of space to spread out, do some crafts, and some baking. Loved that it was close to downtown too! Thank you! Really enjoyed this cottage. It was very comfortable and had everything we needed. Lots of character! Second time staying at this wonderful cottage for a girls weekend. Very cozy and close to downtown Stillwater. Thanks Joe for sharing your place with us! We will be back! We had a wonderful stay at the Cottage House! It was extremely clean, comfortable and well stocked with more than we could have imagined. The location was perfect for us as it was close to family. An extra plus, walking distance to Nelson’s ice cream! The grocery store down the street was great and we actually grabbed delicious sandwiches from their deli twice during our stay. Overall, a beautiful, charming home where we felt welcome and comfortable to enjoy our time in Minnesota. We will definitely be returning! Joe has a great house, and we absolutely loved our stay! Nothing bad to say! Cottage House is a cozy place to relax after a day enjoying antiquing, boating on the beautiful St. Croix river, out door festivals & great dining.